I am sure there are hundreds of posts going on today, over the last few weeks, months, and will probably come over the next few weeks, months, every one coming out with their own views, comments, experiences, how they have enjoyed, what they will miss, once Sachin is gone. Not that I am trying to do the same, but watching his last game this week, was an amazing testament to a guy who defined all odds, for such a period of time, made himself into the greatest cricketer the game has ever known. For sure, every country produces greats. Bradman, Sobers, Lara, Grace, Gavaskar, Richards, each one was brilliant in their own way, each successive one better than the other. Bradman for his consistency and high averages, Gavaskar for his technique, Lara for his grace, Sobers for his all roundness, Richards for his raw power, the list is endless. However Sachin seems to have imbibed the best of every one. Bradman saw him as the closest who was like him, Gavaskar, the master of technique admits that Tendulkar is more focused than he was, Tendulkar himself admitting that he emulated a combination of Gavaskar and Richards. Amazing. 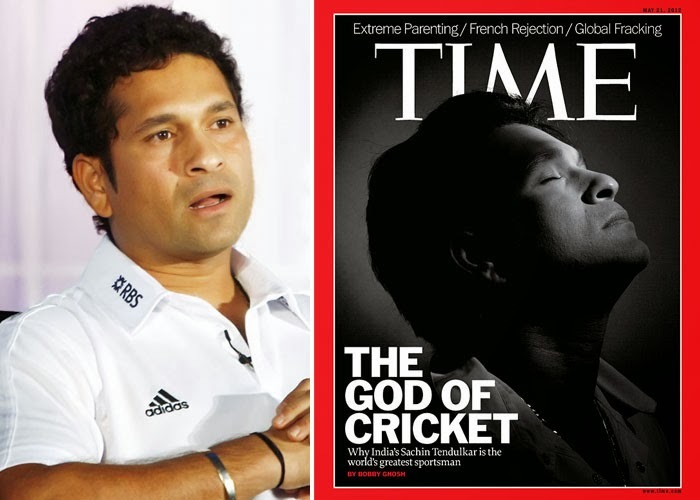 And what was truly improbable was that Tendulkar managed it, not for a few years, but for two and a half decades. The passion, the love, the respect the man had for Cricket, probably, is unbeatable, insurmountable, unreachable. One does not acheive those heights until and unless one is willing to give up every thing. His speech on missing movies, missing evenings with friends and family, are all testament to that. It heightened his greatness and I feel why he succeeded there, was simply because of his humility and humbleness. Ali the Boxer was another example. No one remembers Tyson, Ali IS the one. WAS the One, WILL remain the one. Why, simply because of his humbleness. Cricket for sure lost a Gentleman today when Sachin decided to call it quits. The emotions he went through will remain etched in memory for a long time. There were many who wanted him to leave, he was not his best in the last two years, however every one who cried today when he left, cried from their heart. Managing the expectations of a Billion People for 2 and half decades, is not an easy task. Sachin leaving is termed as the last of the Gentlemen leaving the game. For sure, the game will be poorer, and for the sake of the Game, there needs to be another role model that sets such high ideals and examples. It is this very combination of talent and quality that made people term him as the God Of Cricket. Should he turn out to be bigger than the game, it would not be unexpected. After all +Sachin Tendulkar comes once in a lifetime. And being there is a blessed opportunity.